Three years ago, I went out to a client meeting without shoes. I was in Indonesia and I supported TOMS Day Without Shoes campaign to create awareness on the importance of shoes and its impact it makes to a child's life. When I was in my teens, it was very hard to buy shoes because of my size. 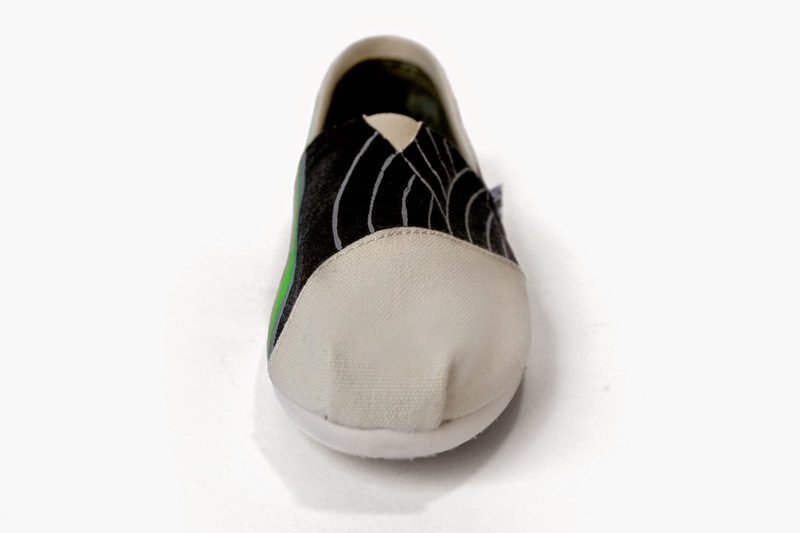 It was very, very frustrating to not be able to wear the shoe style that you wanted - this sounds a bit shallow, but somehow the experience makes me relate more to kids who have no money to buy shoes. Anyway, TOMS continuously support initiatives to help the less fortunate especially those who have been victims of typhoon Haiyan (locally Yolanda). It's been over a year since the typhoon and there are still undergoing rebuilding and rehabilitation. 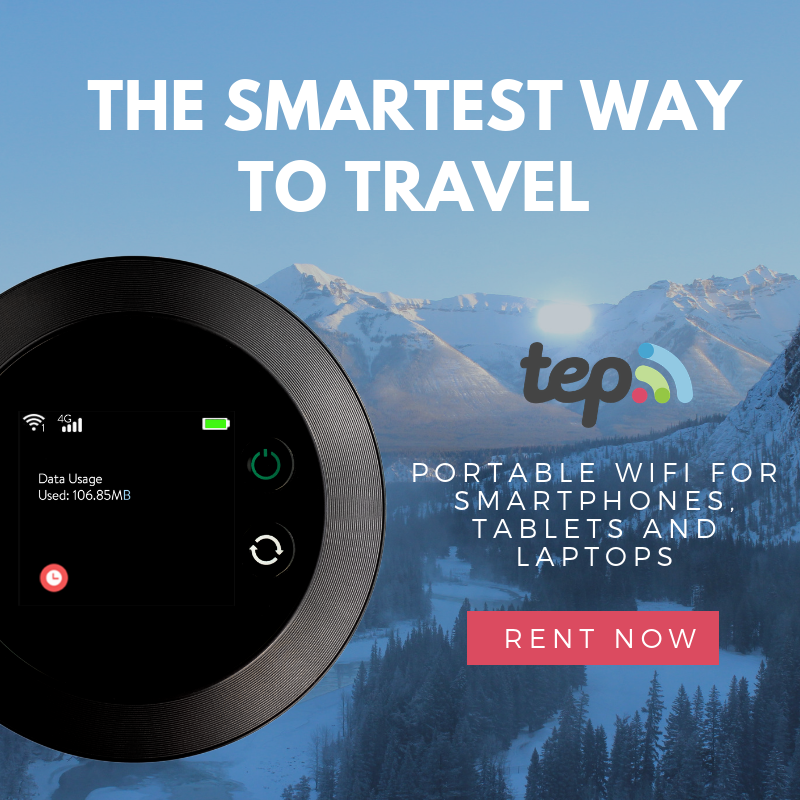 Many people remain homeless and lack a source of income. 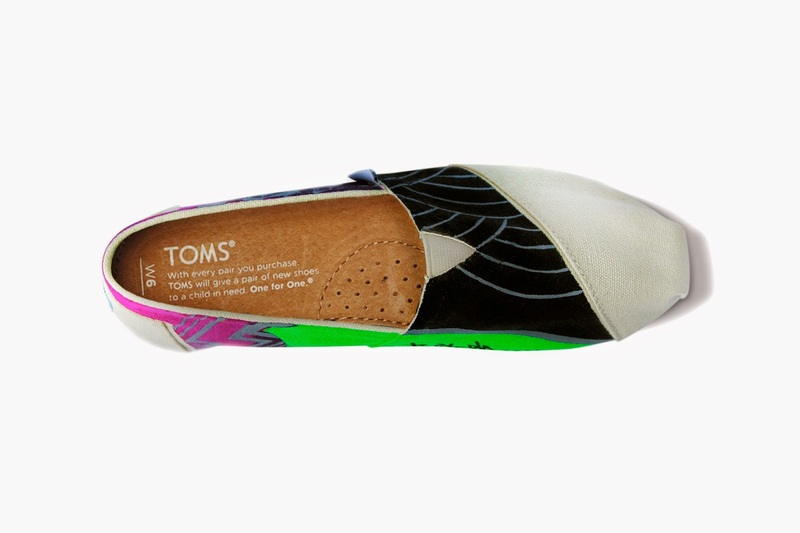 TOMS Philippines is committed to helping affected communities by working with local artists and launching an exclusive collection called the Haiyan Initiative. TOMS Philippines has collaborated with Eastern Samar native Renée Patron and her brand BANAGO, which is based in Samar and whose entire production infrastructure was devastated by the typhoon. In addition, the homes of all the skilled artisans that handcraft the woven products were destroyed. BANAGO aims to rebuild the lives of its artisans by continuing to provide livelihood through the art and craft of its products. 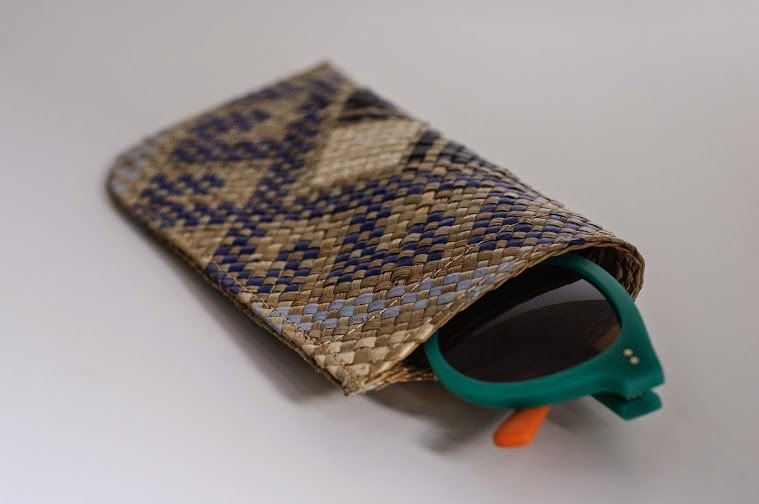 In partnership with TOMS Philippines, BANAGO created specially designed, hand-woven eyewear cases for the Haiyan Initiative. 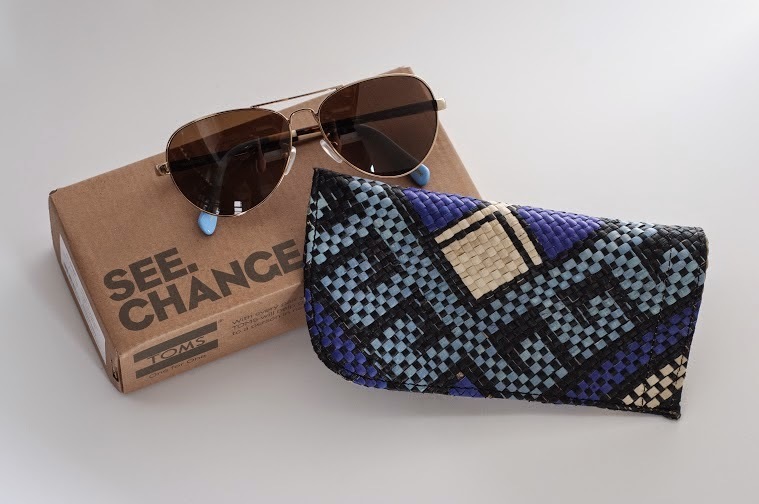 Beginning November 8, a handcrafted case will be given as a gift with every purchase of TOMS Eyewear. 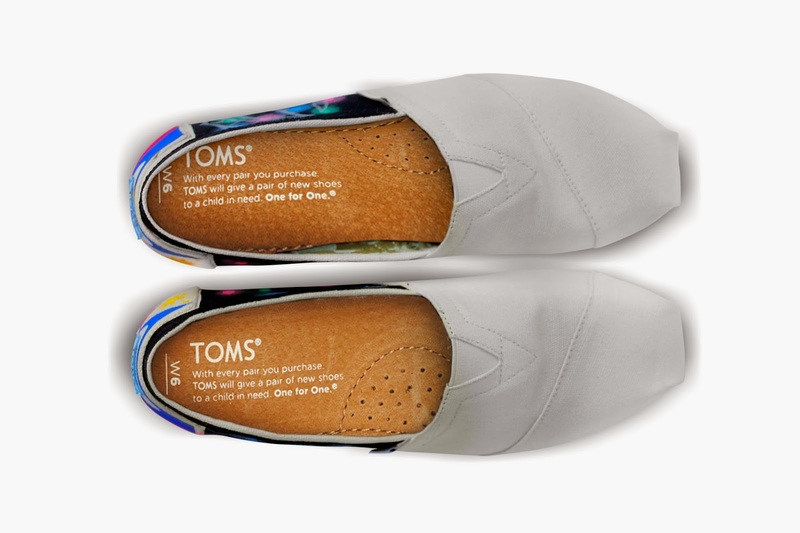 TOMS Philippines, partners with AmeriCares, an emergency response and humanitarian aid organization devoted to saving lives and building healthier futures for people in crisis, to help affected communities by launching an exclusive collection called the Haiyan Initiative. 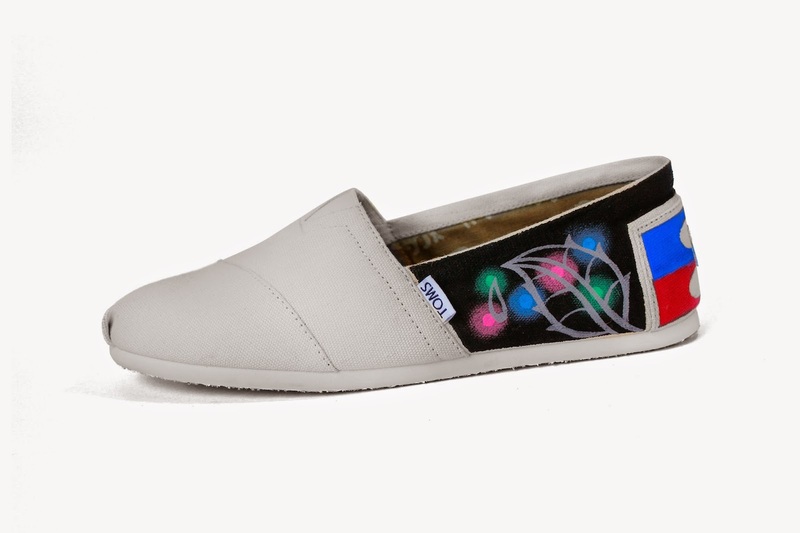 TOMS Philippines has commissioned artists from these affected areas to create limited-edition items for this special project. 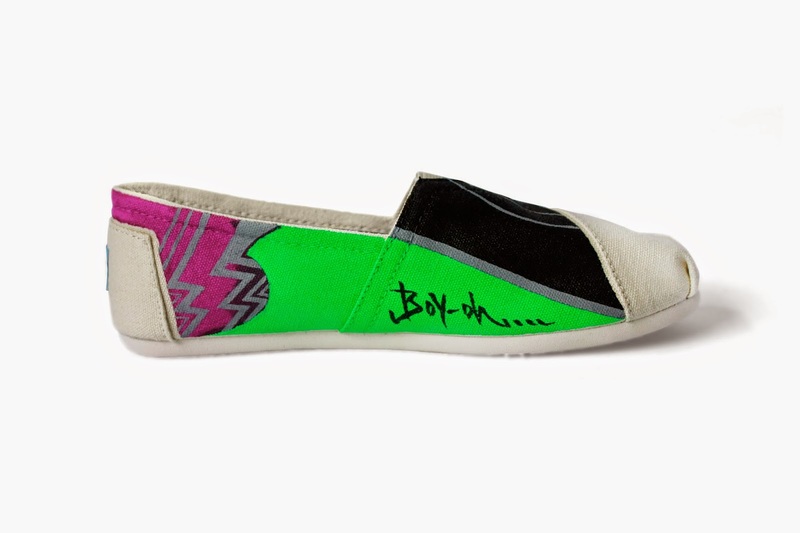 Proceeds from the sale of each pair of hand-painted TOMS shoes will go towards the relief efforts of AmeriCares in the devastated regions. Boy O is a 22-year-old artist from Calicoan Island, Guian, Eastern Samar. 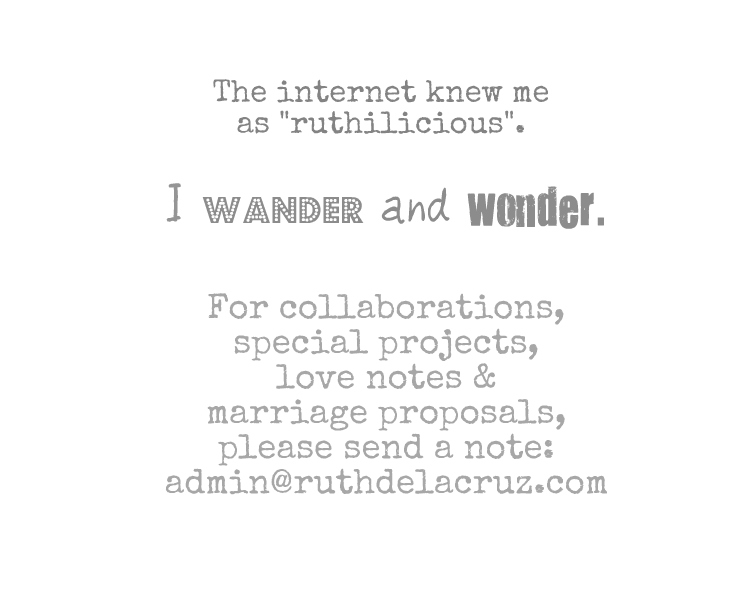 Guiuan was where Haiyan first made landfall and virtually decimated the small town. Because of the typhoon, Boy O had to put his pursuit of a degree in Architectural Drafting on hold. He finds solace and an avenue of expression in his art, which is strongly influenced by his love of nature, the surf culture in his community, and the innate beauty of his island home. 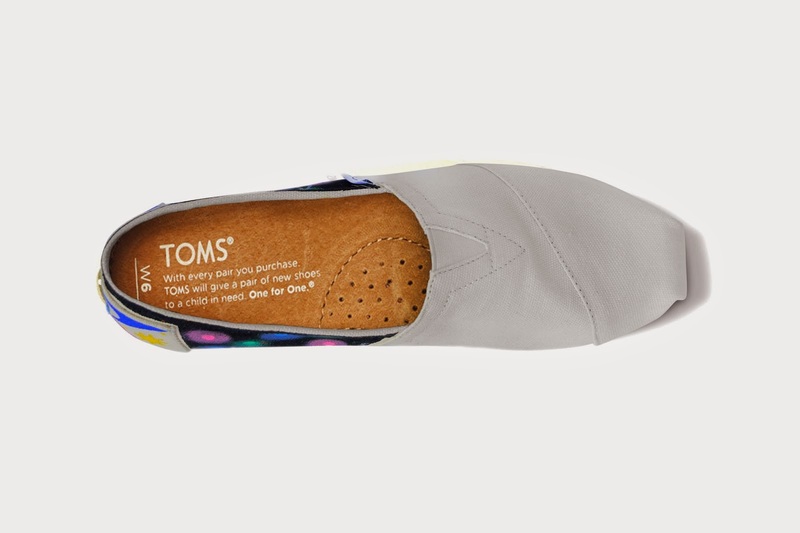 What is your favorite from the TOMS Haiyan Initiative collection?